The Houston Rockets were one game away from reaching the NBA Finals a year ago. Most wouldn't have faulted them if they re-signed their free agents, ran everything back and hoped Chris Paul would stay healthy. But complacency has never been general manager Daryl Morey's strong suit. The Rockets allowed Trevor Ariza and Luc Mbah a Moute to walk in free agency, choosing instead to take chances on minimum-contract veterans—most notably Carmelo Anthony, who signed after being bought out by the Atlanta Hawks. The Rockets are banking on Anthony to not only be the cheaper option—there's a difference of about $17 million between Melo and the Ariza-Mbah a Moute combo—but to also have a higher upside. There's also a high likelihood the Rockets aren't done shopping yet; the Ryan Anderson contract still looms as something they would likely prefer to move in a trade for a piece would could help in the playoffs. As it stands, though, the Rockets are still the biggest contender to unseat the Golden State Warriors. Here's a look at a couple of their key games following the release of their 2018-19 schedule. The Rockets would have beaten the Warriors in last season's Western Conference Finals had Paul stayed healthy. But the Rockets aren't in the Warriors' class. Still, this is a battle between the two best teams in the Western Conference just a few months removed from playing a Game 7. This game doesn't need much to sell itself. James Harden, Chris Paul, Clint Capela, Carmelo Anthony, Stephen Curry, Klay Thompson, Kevin Durant, Draymond Green and (maybe) DeMarcus Cousins do that. If you decide to not watch Rockets-Warriors when it's on TV, you're built differently to other basketball fans. Or, you know, life happens or something. That's acceptable too...I guess. The Thunder and Rockets are scheduled to renew their Christmas rivalry, which will again bring James Harden and Russell Westbrook together. It's OKC's decision to trade Harden (and keep Westbrook/Serge Ibaka) that brought the reigning MVP to Houston in the first place. The rivalry will have an added wrinkle this season with the addition of Carmelo Anthony, who signed in Houston after a disappointing season with the Thunder. Anthony was supposed to give OKC a Big Three; instead he was mostly a liability on defense and disappointingly average on offense. "At the end of the day, it wasn't a good fit," Anthony said of his year in OKC, per ESPN's Jemele Hill. "I think last year—and I haven't talked about this before—everything was just so rushed, going to the team for media day and the day before training camp. Them guys already had something in place, and then I come along in the 25th hour like, oh s---, Melo just come on and join us. Like, you can figure it out since you've been around the game for a long time. That's why it was so inconsistent. At times, I had to figure it out on my own rather than somebody over there or people over there helping me." Melo got to choose his team this time after taking a buyout from the Atlanta Hawks. 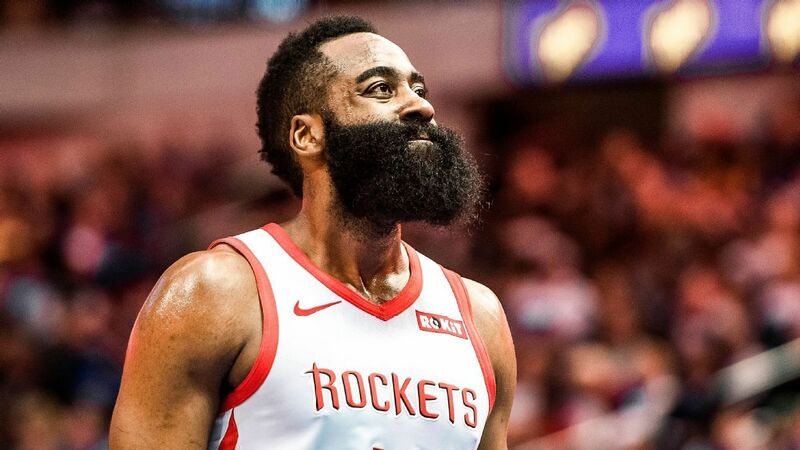 The excuses will be minimal this time, especially given the Rockets essentially choosing him over re-signing Trevor Ariza and Luc Mbah a Moute. Don't be surprised if Melo tries to go Classic Mode here to prove he still has it against his former team. The Rockets aren't finished dealing; we just can't project based on the unknown. As constituted, this roster is far inferior to the one that won 65 games a year ago. Offensive efficiency was not a problem for the Rockets last season, and Melo was far from his peak during his one-year run in Oklahoma City. Houston needs perimeter defense help. Nic Batum and Kent Bazemore are the two most natural fits to fill that spot. If the Rockets acquire one of those two, or another similar player, perhaps the team is just as good—with a higher potential postseason ceiling. For now, though, the Rockets project to take a massive leap backward defensively and should slot into the West's No. 2 seed. The Warriors are a better team than Houston, even if they have the same bad injury luck they did a year ago.